"Don't live the same day 75 times and call it a life." 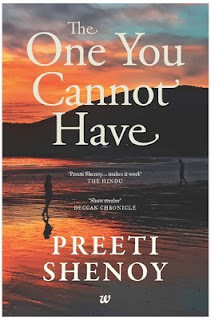 I had been following the author- Preeti Shenoy for a couple of weeks over twitter, blogger and goodreads. That's where I discovered this book of hers, read the reviews and felt like giving it a try. The header of her blog reads- "The only woman in the highest-selling league." This impressed me and instigated the urge to read a book of hers. I ordered it last Wednesday, and thanks to Amazon, it was delivered on Friday noon. The fragrance of new pages instigated me to start reading it the same day. Whoaaa! with my all efforts I read it continuously and finished it on Saturday midnight (that includes sleeping, brushing and bathing!) Irrespective of my eyes aching and floating with drowsiness due to the hectic week, I have broken all my records of the pace of reading this 275 page book. One big reason is that the plot kept me hooked up to itself, I couldn't resist my curiosity for the next chapter as soon as current one was finished. It has four main characters namely- Aman, Shruti, Anjali and Rishabh, backed by a few supporting ones who keep coming and going throughout. Every chapter is narrated by one character, in first person (of course). This style of writing is distinct and new to me, and I had never contemplated such wonderful style. All the chapters are articulated well, unlike other fiction based novels, here one gets to understand each character's perspective as the story moves on. The beautiful writing skill helped me design a portrait of each of the characters in my mind, as if I am in their world. All four of them perfectly entwined. I am still able to imagine their chemistry. The story runs flawlessly, nothing exaggerated. I could relate well with their story- one because I am of the same age group as the characters; two, because in today's era such stories are very much likely with or around us. 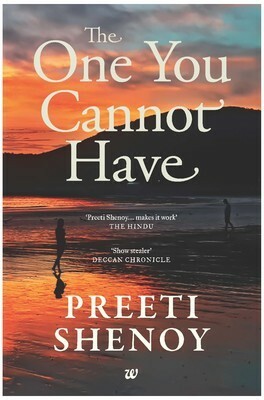 The author doesn't tell anything new, but this is one of the best tell tale of contemporary the world's (to be precise, Indian) love-breakup-family-work-relationship-scenario. The theme is- there is always this one (or more than one) person in the world who you cannot have in your life whatever may be the intensity of your feelings for them. 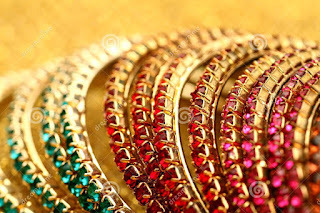 To summarize, Shruti and Aman are dead serious about their love and want to take it further (this occurs to the reader as flashback at various points in the story). Due to unavoidable family circumstances, Shruti has to move on and marry Rishabh later. Aman goes to US to recover the heart break plus, for his official work. The strings from their past keep aching their minds and hearts. No matter what, they long for each other, but eventually, for each other they are- "the one you cannot have." Shruti's past haunts her married life when her husband comes to know accidentally about her past. In the meantime, Aman returns to India after two long years where he happens to date an acquaintance Anjali and after a few emotional hiccups, sees a life partner in her and a way to move on in life. And then...then... don't expect me to uncover the epilogue now! If you are a teenager who is supposedly fiddling between frequent crushes, refrain from reading this fiction, since you won't be able to feel the maturity of relationships. If you are aged 24- 34, this book shall hopefully be one of the best things in your hand. I rate it 4 on 5 stars. If you have even some emotions, and are/ were/ would to be in a relationship(s), this is a good read! Though this was my first book from the author, but surely not the last one. In the row of reading self help books, I just finished this one which I bought 2 years and 8 months back from now, but never had the courage to pick up then. I rate this book 3.5 on 5. This book is from Marshall Goldsmith- an executive coach. And as the back cover of his book reads- "...his one-on-one training comes with a six-figure price tag." The sub-header of the book title reads-"How Successful People Become Even More Successful!" This guy trains the upper management of various corporates, not technically but to enhance their leadership and interpersonal skills, promoting them as a better individual- both professionally and personally. In all, he helps them cover up the gaps from being a good professional to a better professional. This books contains a gist of his experience as a coach, his advice, dos and don'ts as a leader. The best part of this book is "the 20 workplace habits you need to break" (which I would brief below). However, most of the topics and examples covered in the book are worth and help you grow as a professional. Apart from the 20 habits, the parts that I liked most were about enhancing listening skills, apologizing, showing gratitude, feedback and feedforward. He has also covered various traits of our attitude which hinder us to progress to the next level. I've also written another post- A little less ME, which was inspired by one of the chapters from this book itself. 5) Starting with "No," "But," or "However"
8) Negativity, "Let me explain why that won't work"
20) An excessive need to be "me"
6) practice feedforward, not feedback: ask for two ideas for future improvement, listen, say thank you, and repeat the process with several other people. 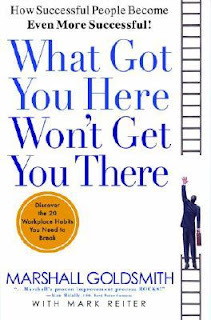 To conclude, this book is for you if you have the thirst to grow as a professional and realize that there are certain traits in you which must be improved upon contructively to help you go up the corporate ladder. Otherwise, do not go for this book. "Do it first or do it different." "Where's the Daddy!? 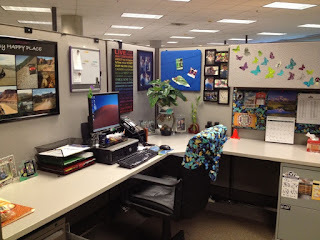 Here he is..." At this person's desk rests a photo frame from last holiday with his son, daughter and wife. The other side has a coffee mug, which would rather have adorned his kitchen sink. It has his daughter's fancy dress competition wining photo imprinted on it. The wallpaper of his desktop is a collage of his kids' cake smeared and first-day-at-school collages. One corner contains a heart shaped photo frame featuring him and his sweetheart wife from their honeymoon days. This man is most likely in his mid thirties, dressed in office formals, treasures his pot belly. He comes to office in time and leaves on time. He sets his phone on flight mode right after he leaves the workplace, and over the weekends. This one has a desk with a home-like feeling. Unlike the family guy, he doesn't display an array of family assets, but has his desk's interiors setup to make you feel you are in his living room. His cubical only lacks an attached washroom! He houses various show pieces including at the least- a soft toy, a clock, a bonsai and a calendar with 365 thoughts- one for each day of the year. He has umpteen office-activity-participation-certificates, printed inspirational thoughts and a couple of awards to flaunt at his desk. You never get bored when dropping by his ornate cubical. This is generally one of most active lads in the organization, the one who has a lot more to do than he's paid for, keeps fluttering here and there and has a cheerful attitude. He is normally aged 25-30. The backside of his chair has an inspirational thought printed on a paper, and the front side has a comfy pillow to soothe his supposedly aching back. The dustbin below his desk is fuller than full, so much so that the office boy demands hike in his salary to collect the empty bags of chips and the daily filth. This one is an icy man. 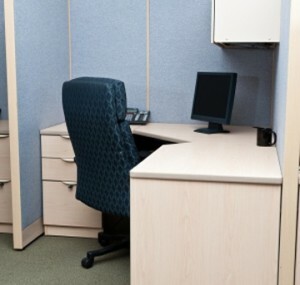 He is looking forward to renovate his desk some time in future, but either he doesn't feel like doing so, or hasn't got the guts to do so, or is laden with tonnes of work, or is too simple to plan a happy-go-lucky cubical. To him his desk is no more than a piece of furniture to rest his arms at. No age group classifications for such folks. The coffee mug with their routine espresso occupies it's regular place on that empty piece of furniture. The neatly arranged desktop and mouse make you feel overwhelmed (neat means nothing at all, the office boy is glad to work for him, since he does not have any cleaning work to do for this desk). The less active guy, staring from morning to evening at his desktop screen from his spectacles, who leaves for lunch at sharp 1:00 PM no matter what- famine or earthquake. Lunch time chatter includes poor condition of roads, criticism of the government and his effective ways of saving taxes. 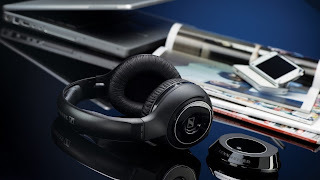 This guy's desk features latest model of headphones standing aptly on a stand. His is the latest smartphone, probably an iphone adorned with a superhero wallpaper. The bottom of his desk has a pile of boxes or left over packaging from his recent online-shopping-adventure deliveries. You may spot this person spending most of his time shopping or window-shopping online. He generally happens to be a recent campus hire who earns more than he can spend with both hands. When did you visit the temple lately? Never mind, you can easily spot one such desk around you at office where you feel like the only item absent for it to be called as a temple is the temple-vala-shoe-stand. 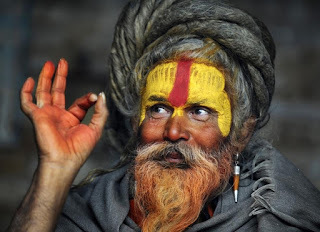 This guy has idols of various gods at his desk, sits in the direction recommended by Vaastu teller, wears ring of almost every planet in his fingers and fasts frequently. He is the bhagwaan-bharose guy, who invests much time flattering god than his manager! Firstly, you must be wondering how am I able to post another book review one day later since my last review! The reason is, I am accumulating my thoughts on few recent reads from my shelf and posting them consecutively on my blog. 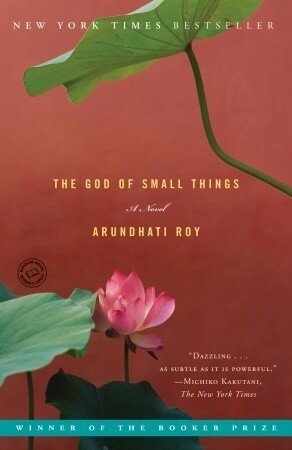 This is one of the best books that I've read so far, and one of those which I would want to read twice. This is a 378-page long book, which is more than enough for a new reader like me. 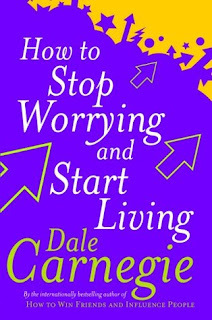 It is penned by the international bestselling author of How to Win Friends and Influence People- Dale Carnegie. My life wouldn't have been worth if I had missed this wonderful brain washer (in positive way). I rate it 5 stars (10 stars if I could). Goodreads yields that this book has 100 editions, 36,716 ratings and 919 reviews as of date, whoa! My copy of book says that it was first published in 1953, quite early though, it is still very much applicable to our lives. The author himself is a self-help coach. He sums up his experiences and experiences from other people to justify the teachings that he gives throughout the book. This book has increased my fascination for self-help genre and has made me believe that a good book can bring positive change to one’s life. I didn't want to finish this book. 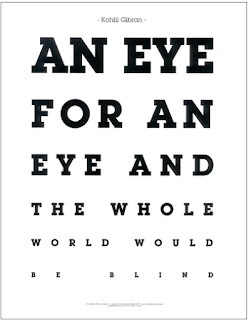 2) Our main business is not to see what lies dimly at a distance, but to do what lies clearly at hand. 3) Remind yourself of the exorbitant price you can pay for worry in terms of health. "Those who do not know how to fight worry die young." 5) Keep busy. The worried person must lose himself in action, lest he wither in despair. 6) Let’s not allow ourselves to be upset by small things we should despise and forget. Remember "life is too short to be little." 7) Cooperate with the inevitable. 8) Let the past bury its dead. Don't saw sawdust. 9) Eight words that can determine your destiny: "Our life is what our thoughts make it." 10) Let's never try to get even with our enemies, because if we do we will hurt ourselves more than we hurt them. Let's never waste a minute thinking about people we don't like. 11) It is natural for people to forget to be grateful; so, if we go around expecting gratitude, we are headed straight for a lot of heartaches. 12) "I had the blues because I had no shoes until upon the street, I met a man who had no feet." Count your blessings, not your troubles! 13) Let's not imitate others. Let's find ourselves and be ourselves. 14) "Two men looked out from prison bars, one saw the mud, the other saw the stars." 15) Forget yourself by becoming interested in others. Every day do a good deed that will put a smile of joy on someone’s face. 16) Remember that unjust criticism is often a disguised compliment. Remember that no one ever kicks a dead dog. 17) Rest before you get tired. Learn to relax at your work. Learn to relax at home. If you can't sleep, then get up and do something instead of lying there worrying. It's the worry that gets you, not the lack of sleep. Learn to organize, deputize and supervise. 18) Time solves a lot of things. 19) Believe in god. Leave things up to god. It is he who will take care of everything. As a formal conclusion, I would recommend this book to all those who are motivated to bring a change in the way they lead their lives. Each line would soak deep into your soul, relishing your thought process and conquering your problems. BY A DEBUT AUTHOR, FOR DEBUT READERS! 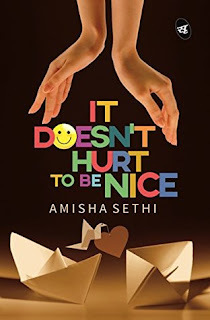 This is a book by Amisha Sethi, published this September. With large fonts and merely 130 pages (of which, some are occupied by quirky illustrations in the form of callouts as preface for the upcoming chapter), its a chick-lit. It is a combination of fiction with self-help. I rate this book with 3 stars, and for a debut author let me make it 3.5. The author has used a simple language, with mention of chants from upanishads and vedas at various places. 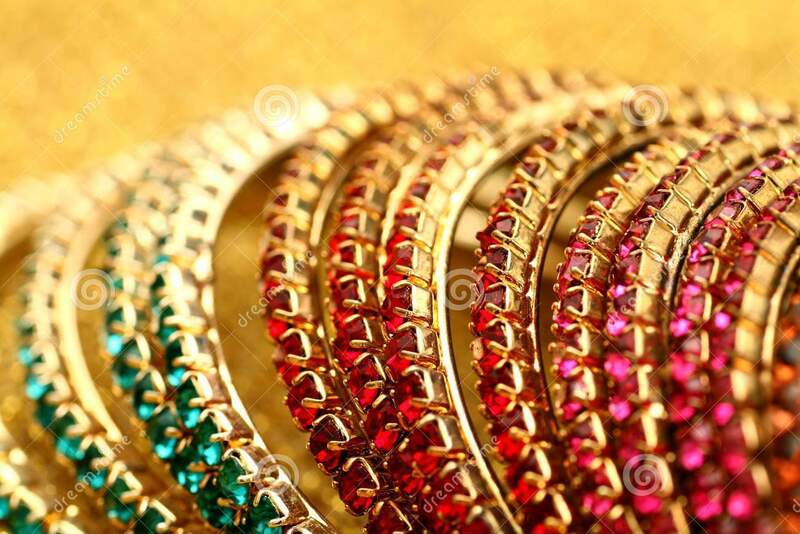 The content is shallow, and picturesque of a Delhi girl's life transition from school to college to moving her way up the corporate ladder to love marriage to being a mother and then a mix of all. It sounds very obvious and a li'l filmy at times, covers the events of life that most of us go through at various stages of life. What is good about it is that the author has related these with some philosophy and learning. It's about finding your purpose in life and striving to be better each day than you were yesterday, which basically sums up my own belief as well, so that's a plus point. Overall, the book was a speedy read for me and had vibes of optimism in it and hence I loved my experience with the book. If you are willing to take a break from reading huge books that take weeks to finish, and feeling overwhelmed with the contents from foreign authors, you can give it a try. Lastly, a learning for debut authors- Never write a book in hurry!